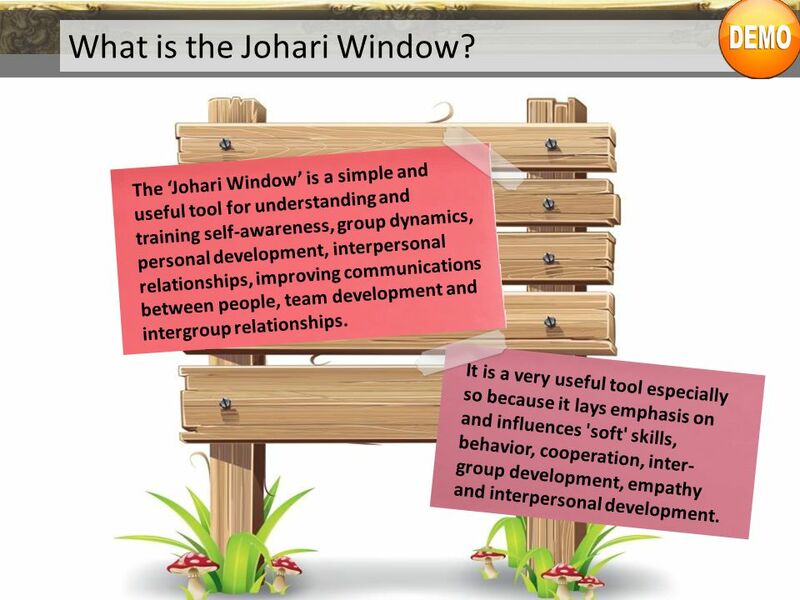 Johari Window is a useful Self Development Tool that Builds Self-awareness and is the key to being successful in all facets of life – be it personal, professional or social. This technique helps people better understand their relationship with themselves and others. Human interaction is a complex process. At times what we think about ourselves can be completely different from how others perceive us. At certain other times we are unable to trust a person because we do not know enough about him/her. Self-awareness thus is vital in enhancing our relationships with better communication skills This in turn makes us more effective and productive. The Johari Window Model was created in 1955 by Joseph Luften and Harry Ingham. The name is derived from the first names of the creators. This tool is still relevant today, as this can help people to better understand their communication with others. 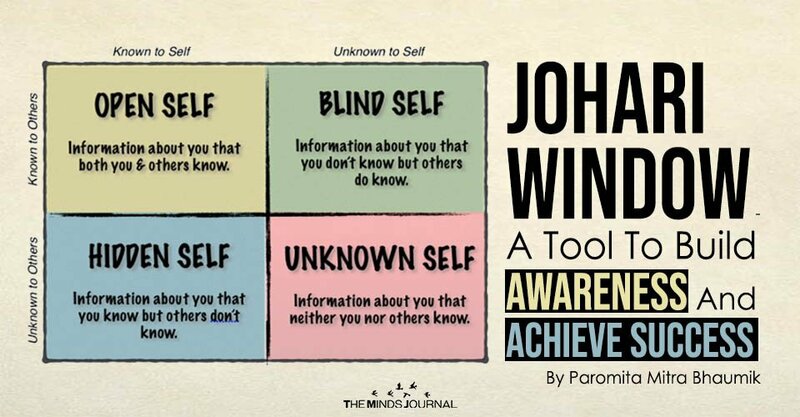 Understanding the Johari window model will help us develop meta cognitive ability and most importantly give us more clarity around who we are and how we represent ourselves . The model depicts a window through which communication flows as we give and receive information about ourselves to others. In this model the window represents information, feelings experiences, views attitudes skills intentions motivation and so on. In the diagram “self “refers to oneself, and “others” refers to all the other people. The 4 perspectives are called regions or quadrants. Each region represents information known or unknown to the individual and information known or unknown to others. The theory concludes that in order to be self-aware and enhance personal effectiveness and confidence, the individual needs to give and receive feedback of their behavior thereby increasing the size of region 1 and decreasing the region 2 and 3. What is known by the person about him/herself and is also known by others – open area, open self, free area, free self, or ‘the arena’. 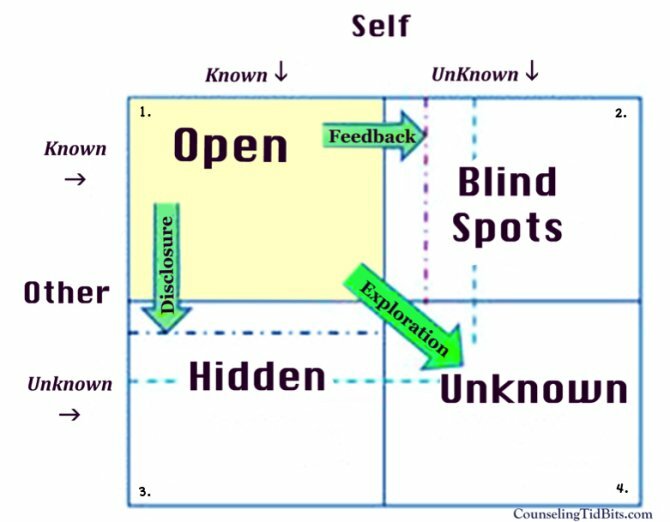 What is unknown by the person about him/herself but which others know – blind area, blind self, or ‘blindspot’. What the person knows about him/herself that others do not know – hidden area, hidden self, avoided area, avoided self or ‘facade’. What is unknown by the person about him/herself and is also unknown by others – unknown area or unknown self. A lot in this area is unconscious. PANE 1– you could list things that are generally known about yourself. This can be simple information, or can involve deep issues (for example, feelings of inadequacy, incompetence, unworthiness, rejection) which are difficult for you to face directly, and yet can be seen by others. This could form the basis for a discussion with a coach or mentor. PANE 2– you could identify the feedback you would like to receive about your behavior, mannerisms and so on. This could form the basis for small-group sessions, or you can ask for feedbacks from your relationships. It could be used to help with the skill you wish to develop, in the next phase. PANE 4-could include areas that you would like to explore in a coaching session or with the help of the group / other your significant relationships– your future, how you would react in a particular situation, and so on. 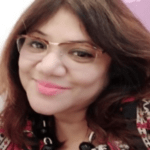 CONSULTING PSYCHOLOGIST / AUTHOR / LEARNING AND DEVELOPMENT COACH / EDUCATIONIST Paromita Mitra Bhaumik is a committed, knowledgeable and capable psychology expert working on psychological wellbeing, essential skills building, Coaching and writing for awareness for the last 25 years. She is the Founder Director of Anubhav Positive Psychology Clinic at Kolkata, India. A registered psychologist with the Rehabilitation Council Of India, ( R.C.I.) and a Life Associate Member with the Indian Psychiatric Society (I.P.S), Paromita has been trained in Cognitive Behavior Therapy (C.B.T) and Stress Management under professor Stephen Palmer at the Institute of Stress Management in London. She has also received an extensive training in Neuropsychology from National Institute of Mental Health and Neurosciences, Bangaluru , India. Apart from being a certified coach for Neuro-Linguistic Programming (N.L.P), she is a qualified coach for Directive Communication Psychology (D.C trainer) trained by Arthur Carmazzi, for skills building. As a renowned coach, Paromita Mitra Bhaumik has the experience of having conducted over 300 workshops and training programmes in India and abroad. Her paper on the mental health of the senior citizens in India was well appreciated at the Shippensburg University U.S.A.Paromita Mitra Bhaumik has edited and contributed to the international editions of books on psychology and education by Pearson Global. She is also a Resource Person with Pearson Education for the last decade. She is a prolific writer and orator who draws inspiration from her subject, psychology and the life around. She is a writer at wordpress.com ( Palette by Paromita mitra Bhaumik) and at The Minds Journal.